London company ChargedUp has launched a network of vending stations where users can rent portable phone chargers and return them later to a station of their choosing. There are few things more frustrating than a flat phone battery while you’re out and about, but it could be a thing of the past with a new network of portable charging stations billing itself as the ‘Boris Bikes’ of mobile battery chargers. London company ChargedUp has launched a network of vending stations around the Capital where users can rent portable battery chargers and return them later to a station of their choosing. 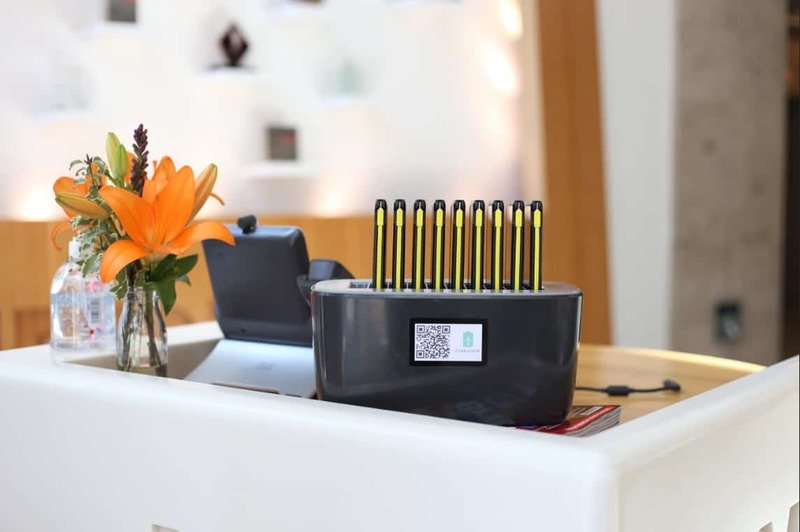 Customers locate a station using the firm’s app and scan a QR code to release a battery, each of which can charge a phone twice over and comes with connector cables for iPhone and Android. The entire network runs on green energy through a partnership with Gloucestershire-based energy firm Ecotricity. ChargedUp has already positioned more than 30 stations in bars, cafes and coworking spaces around the Capital, with a high concentration on the northern edge of the City around Old Street, as well as around Farringdon and Brick Lane. ChargedUp has stations in cafes, restaurants and coworking spaces around London. The company aims to be in more than 1000 venues in London by the end of the year and is looking to partner with large chains like Pret and Wetherspoons to facilitation national expansion to every high street in the UK. Founder and CEO Hugo Tilmouth said: “Battery life has not managed to keep up with the demands we put on our smartphones, and running low part-way through the day is now a common, and very frustrating, occurrence.